This topic contains 2 replies, has 2 voices, and was last updated by Gary Pig Gold 6 months, 1 week ago. Need both artists & writers + photography – especially additional content on You Are So Beautiful, Angel Come Home *esp Dennis performing it with The Beach Boys on The Midnight Special* , and offical/unoffical Dennis/Beach Boys t shirts. Aything from illustrations to memes, writings, reviews, bootlegs, memories, tributes, rants, comics, Dennis related pop culture/rock n roll / Beach Boys mythology, parody(?) pop mag / annual features (puzzles, fact files, paper dolls etc. ), confessions/unpopular opinions, anything really, as long as it’s (mostly) Dennis focused and can fit in a pdf or print zine (Can’t include audio/video streams or gifs but writing about them with links is fine). Can be as serious or trashy/piss taking as you want. 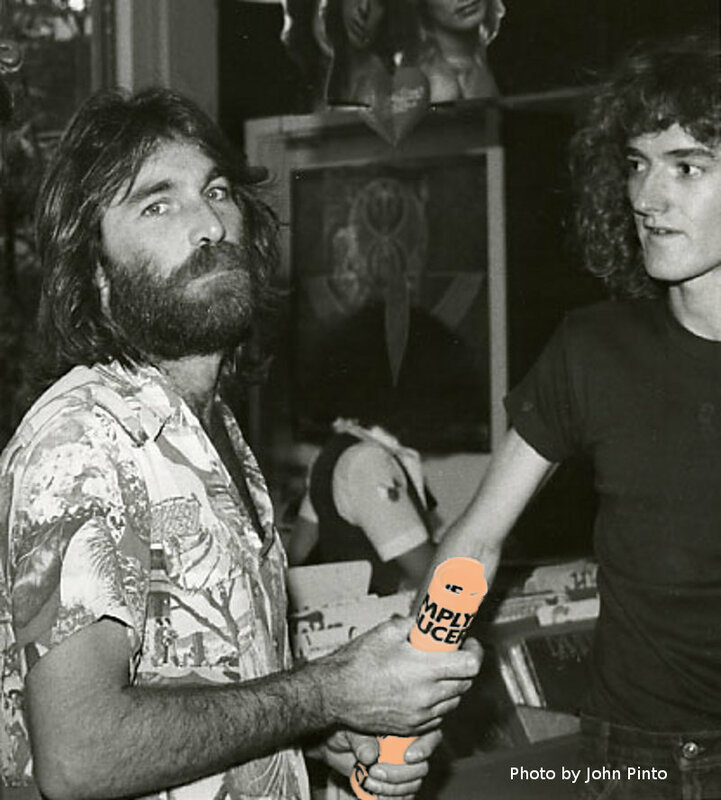 Image description: Dennis Wilson in the mid-late 70s, pointing, in a furry coat & Peaches tshirt, with text Thoughts of You Needs You! 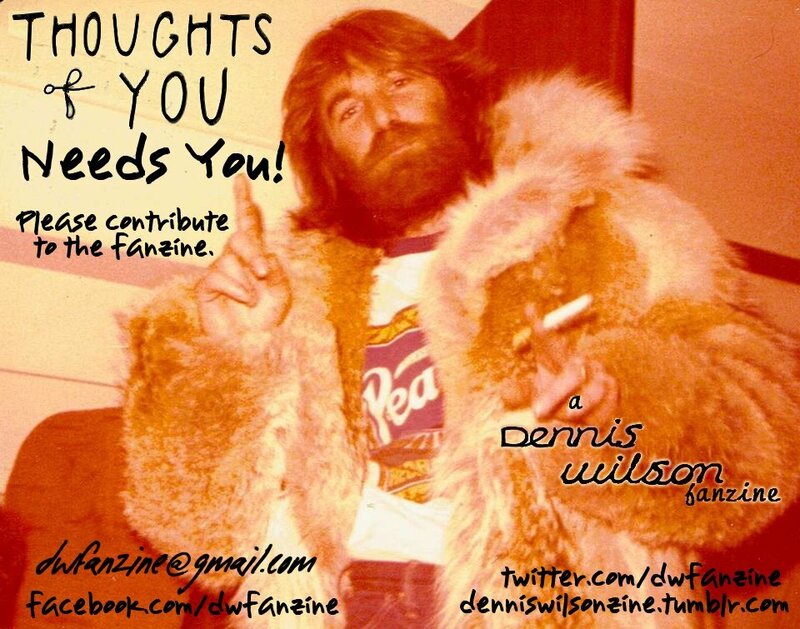 Please contribute to the fanzine.